I took several trips to the woodlands I will be using for my portfolio sessions. As well as scoping our the site and where the best locations would be for activities I spent some time cataloguing the flora and fauna of the site. 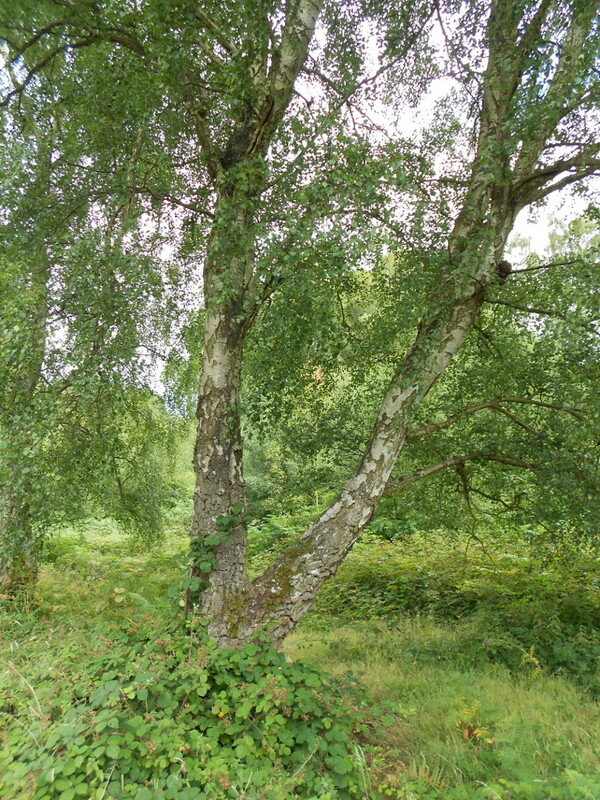 Silver birch is a very common native tree and is easily identifiable by it’s distinctive whitish bark. When the trees are young the bark can be easily peeled from the trunk and makes excellent tinder. As the tree ages the bark becomes very thick and scaly. The leaves are small and triangular in shape. Native to Central Europe, European Larch was introduce to the UK as an ornamental tree in the 17th century then extensively planted. 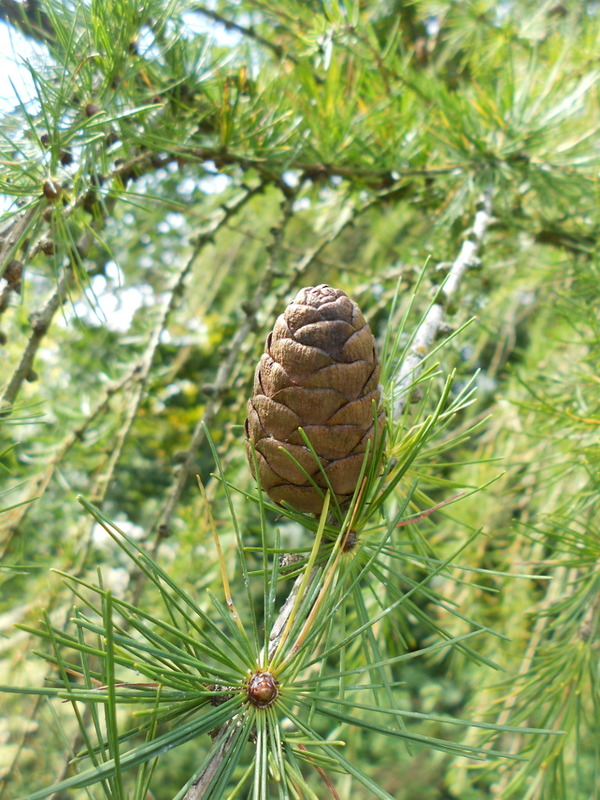 European Larch is a deciduous conifer with soft needle like leaves and brown cones. The needles form in clusters, like rosettes, along the twig. 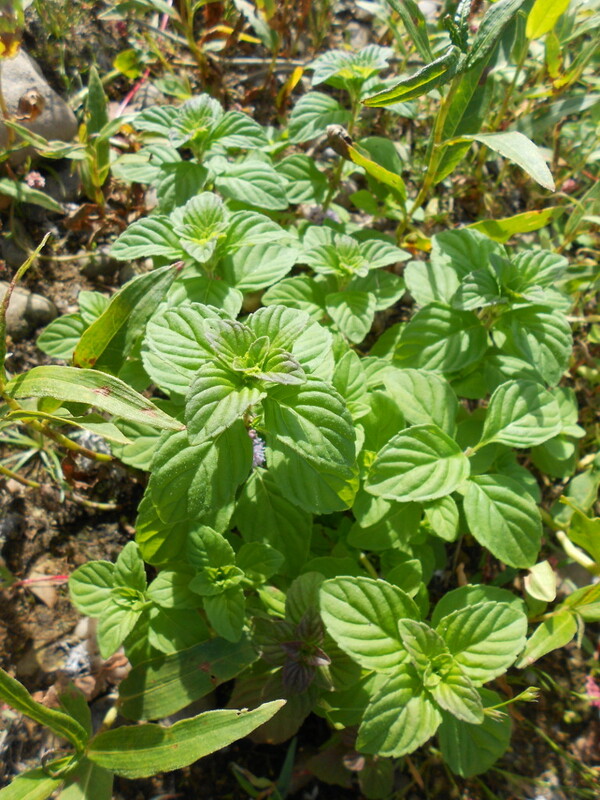 Water Mint prefers damp habitats. I found it in huge amounts at the edge of the woodland adjacent to the shore of the reservoir. Water Mint has oval, toothed, leaves and clusters of pinkish flowers though the most obvious way of identifying it is the strong smell. 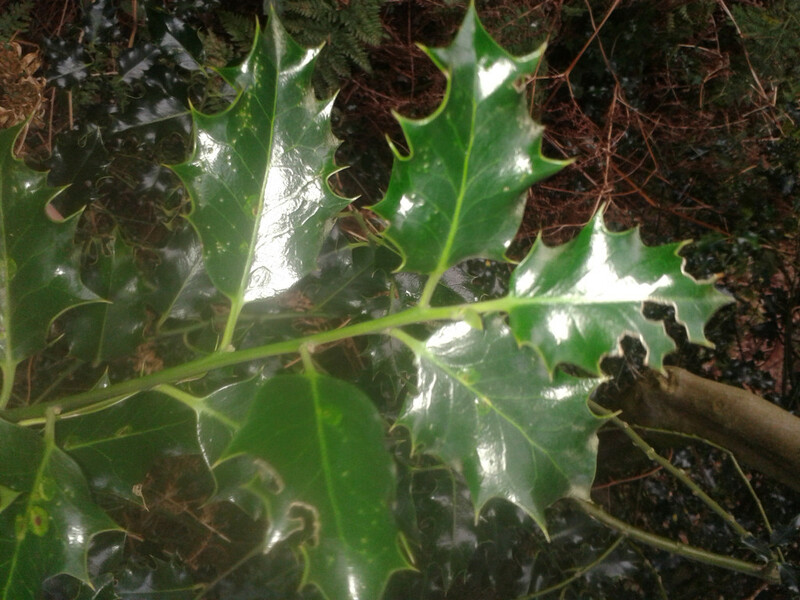 Holly is easy to identify by the glossy spiked leaves and bright red berries. The leaves of older trees are likely to be less spiky but are still easily identifiable. A common non-native tree. It has a distinctive leaf shape and it’s flowers develop into winged seeds that spin as they fall. 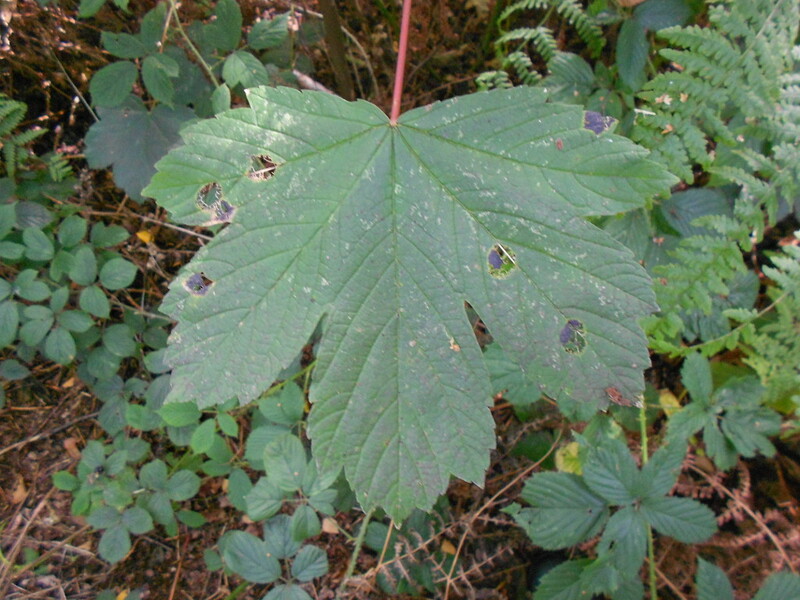 The tar spots on the leaf are a sign of a fungus affecting the leaves. Despite their unsightly appearance the tar spots do the tree no significant harm and their presence is an indicator of good local air quality. 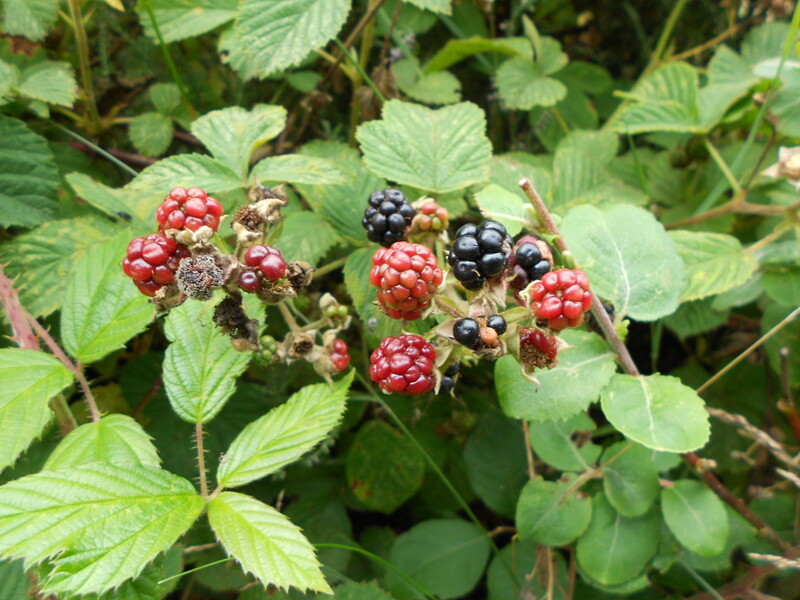 Commonly called Blackberry, Bramble is a rough, tangled and prickly shrub that will grow in many areas, from woodland to waste ground. Easily identifiable between August and September by it’s edible fruits. Grows in damp soil, often in woodland. The leaves are similar in shape to Maple leaves. 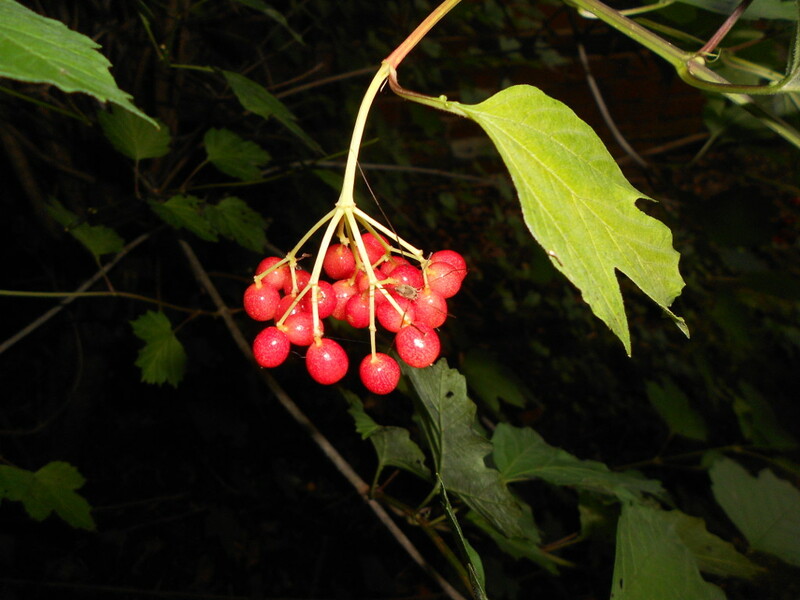 Clusters of bright red berries grow at the end of branches. The berries are edible but must be cooked before being eaten. A very tall plant with pink flowers that grow into a point. It is widespread and can be found from woodland to road verges. 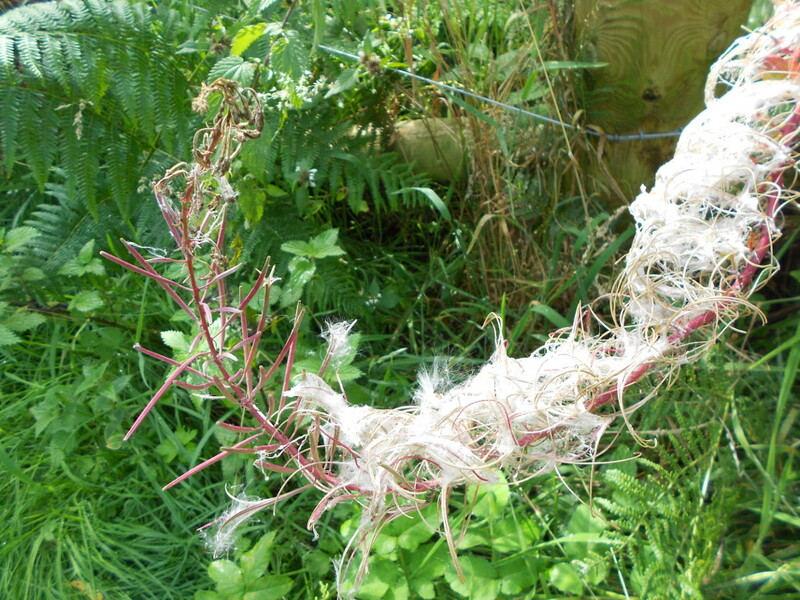 The downy flower heads can be used as tinder. Fauna: The animals of a particular region, habitat, or geological period. I didn’t see the creatures themselves but clear evidence of a large sett. There were probably about 20 entrances in this small area. You can’t see it well from this picture but all of the entrances were wider than they were tall which is a good way of differentiating between badger sett and fox den. 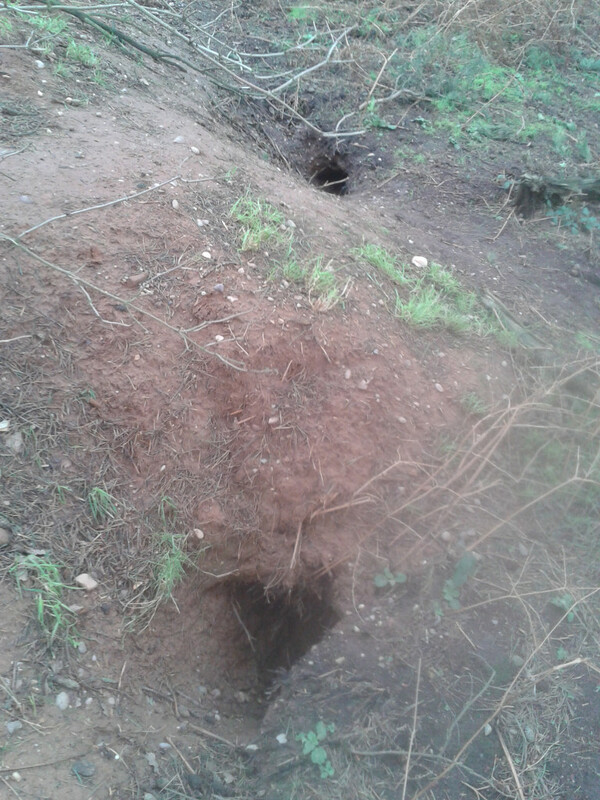 This sett is well outside of the area I’m planning on using for the sessions so we wont be disturbing them. 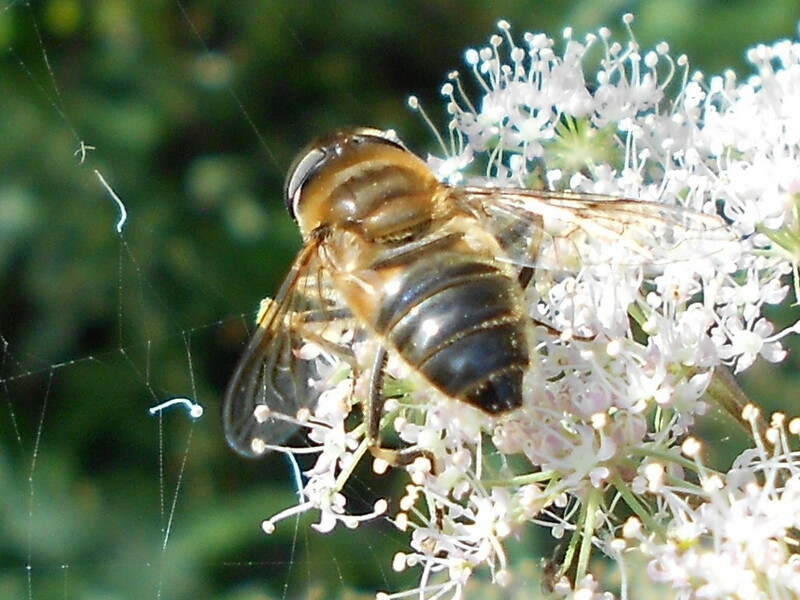 Eristalis is a large genus of hoverfly. They can be mistaken for bees from a distance. This one is Eristalis pratorum I think – though that’s a very tentative ID. Predatory beetles that are black or brown in colour and preferring damp habitats. 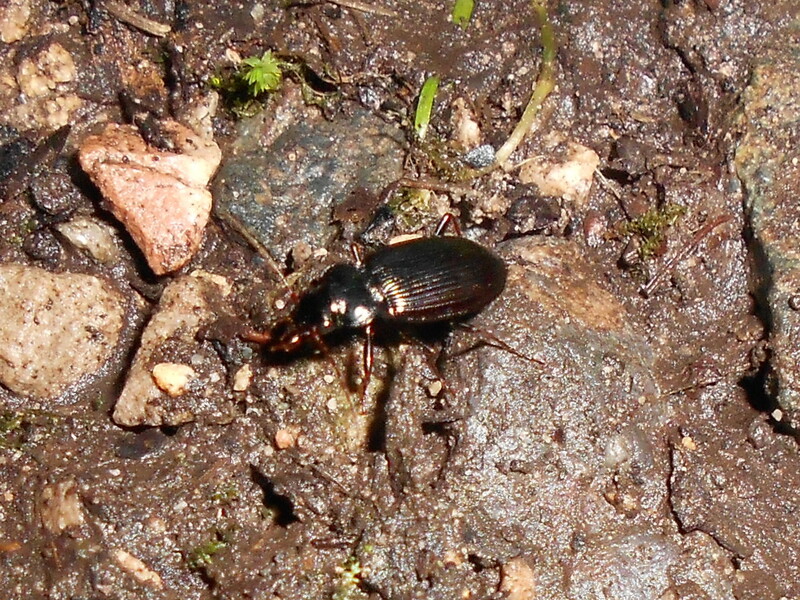 I saw a number of ground beetles but have no idea which of the 1300 species they might have been! The Missing Sector spider is brown with a dark brown pattern on it’s back. It’s legs are brown with light bands around them. 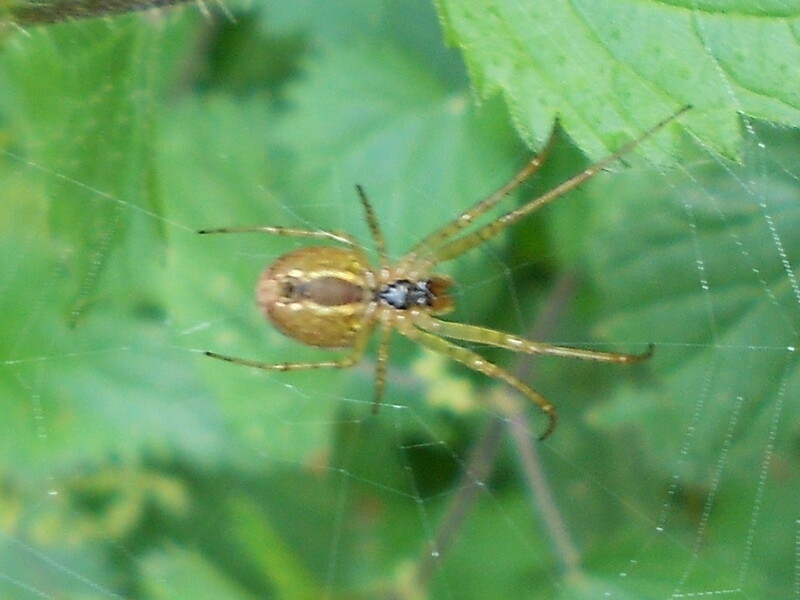 This spider can also be identified by it’s web which always has a triangular section missing. 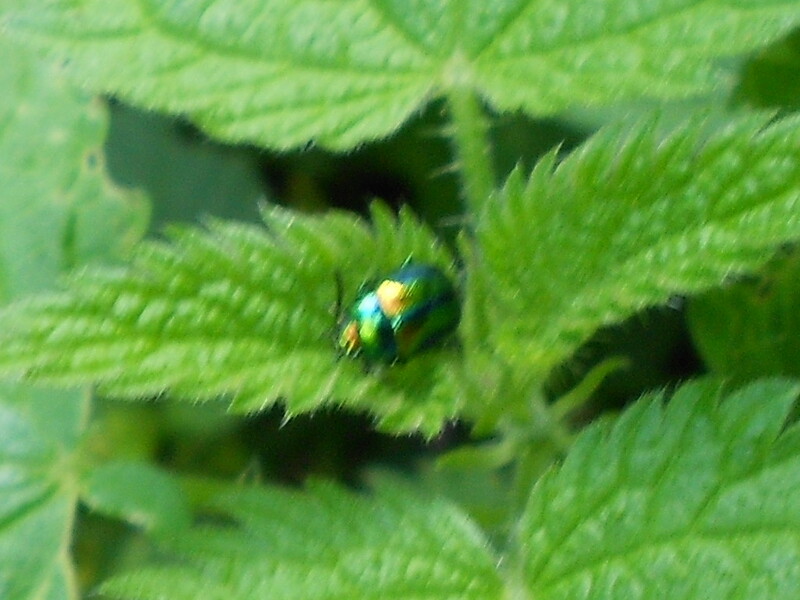 I’m confident that this is either a Mint Leaf beetle or Green Dock beetle but can’t decide which from the photo. I definitely need a better camera! Ganoderma is a genus of polypore mushroom. 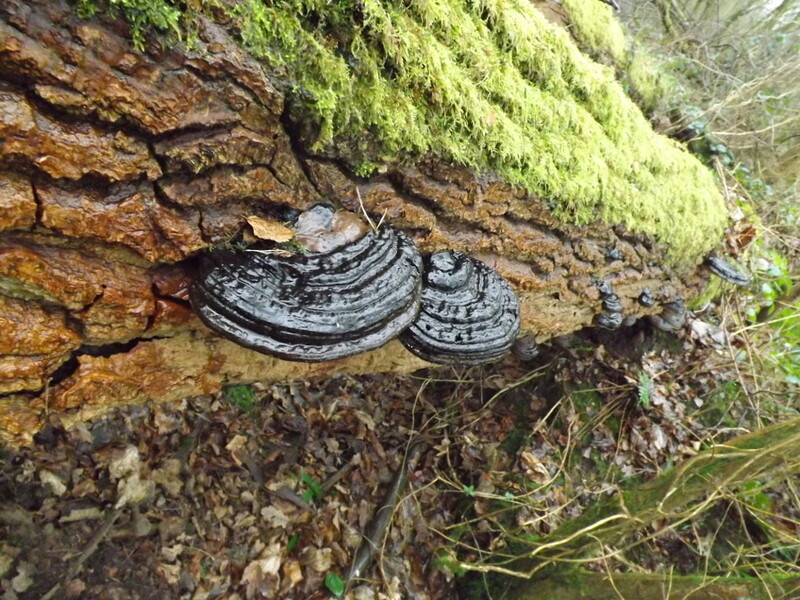 I think this one is Ganoderma Australe. It has a dark brown/grey upper surface and pale lower surface. They typically grow between 25cm and 50cm and between 5cm and 20cm thick. They are too tough to be edible. 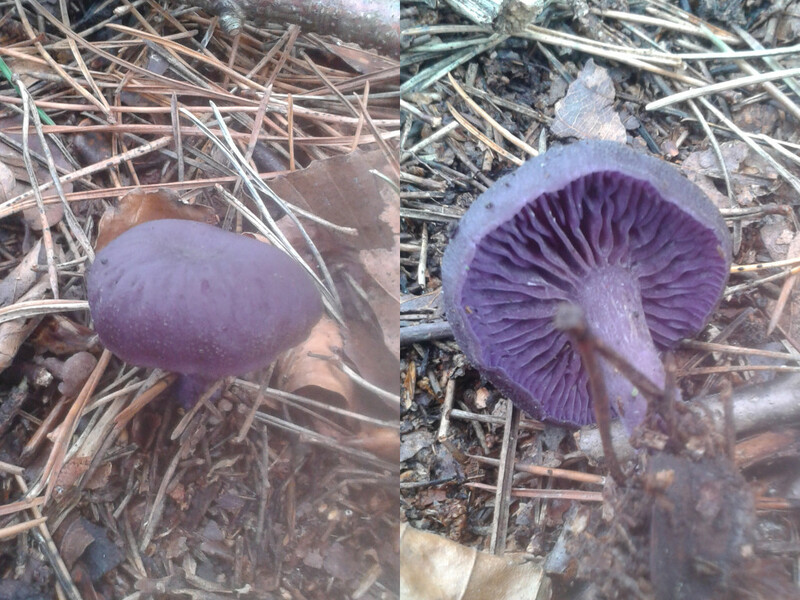 An entirely purple/blue/black mushroom. The colour can change depending on the weather. The cap will grow from anything between 3 and 15 cm and has moderately spaced gills. It is considered edible by some sources but suspected as poisonous by others so best avoided.